Mark your calendars for Missoula Children’s Theatre Tryouts on Monday, April 1st after school. Students in grades kindergarten through 8 are invited to tryout. St. Vincent School is celebrating the 20th Anniversary of Missoula Children’s Theatre coming for a residency. This is a free, week-long performing arts program after school running April 1st – 6th. 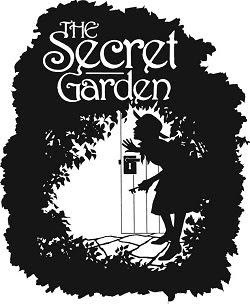 We are excited to announce the production will be The Secret Garden, an original Missoula Children’s Theatre rendition. It is a joyful retelling of a story of hope and celebration and all good things in life. Performances are on Saturday, April 6th at 12:30 and 3:00 p.m. in the school gym. Admission is $8.00, children under 3 are free. General seating, doors open at 12:00 and 2:30 p.m.
Join us on Saturday, March 30th from 12pm – 2pm to clean up the parish church and school grounds. We’ll be raking leaves, pulling weeds, and cleaning up flower beds. Please bring your own rakes and gloves if you have them. Contact JoAnna Pedroza with any questions: 801.556.9285, joanna.pedroza@gmail.com. The auction pictures are in the main office. If you purchased photos that evening, please stop by and pick up your fun memories this week. After School Junior Golf at St. Vincent School. Students can bring their Rice Bowl collections to Mass on Fridays. The money goes to Catholic Relief Services. We are now taking Summer Camp registrations for grades K-8th. Please click here for the Summer Camp Registration Packet. SATURDAY APRIL 13TH @ 11AM -Alumni v. Current players baseball game -Home-run Derby -Raffle 1st Prize $500 Cash 2nd Prize $250 Gift Cards 3rd Prize Swag -Silent Auction -BBQ (burger, hotdog, chip, cookie and drink). Click below for the Judge Baseball Fundraiser flyer.